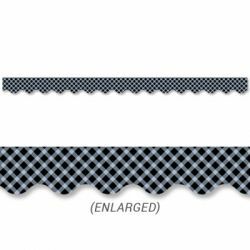 This classic Black Gingham Border is a must-have! 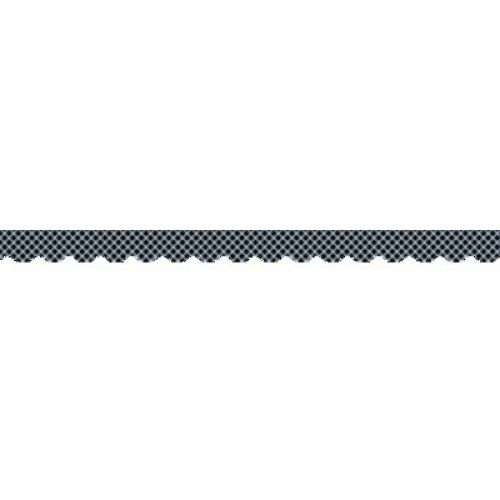 With its simple checked pattern, this border can be used alone to create a basic look or layered with just about any other border for a more designer look. Due to its neutral color and versatility, it is perfect for use on bulletin boards in a wide variety of classroom, office, church, and school settings.